Another week has slipped through our fingers, meaning that it is yet again time to look back over the last seven days of Microsoft news as we do every Friday. This week’s news from the Redmond-based software company is a bit scattered, so we have to move quickly between topics. Ensure that you are following TNW’s Microsoft channel on both Twitter, and Facebook, and let’s dive right in. The Xbox will initially go on sale in 21 countries for $499, €499, and £429 depending on your location. What happens if you are not in one of the supported regions? 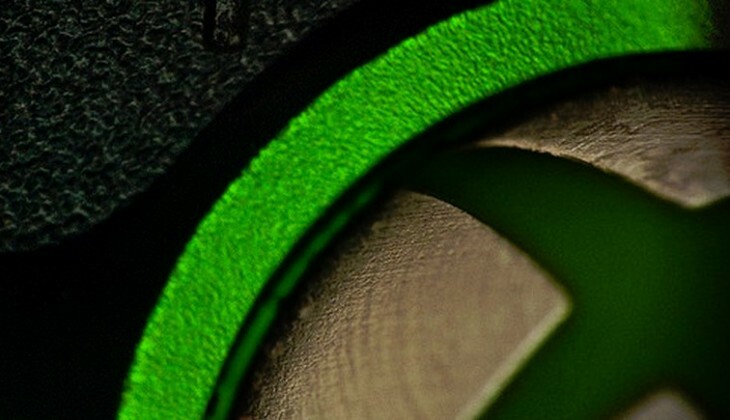 You likely are all but out of luck when it comes to the new Xbox device. As TNW reported, “the notion of an ‘Xbox One-supported Xbox Live country/region’ [as requirement for use of the Xbox one] appears to be an additional restriction on the console’s functionality.” That requirement and the fact that Microsoft will require the Xbox One to connect to the Internet once per day has left many potential users dissatisfied. The company also made a misstep with its reports on used gaming, on which it has been vague, and generally on the wrong side of ensuring that gamers own their purchased titles and can do what they will with them. It was not a good week for Microsoft in the console space. The company likely needs to reverse several of its positions on the Xbox One months before its sales cycle begins, to unwind the early, self-inflicted wound. This morning at 5 am Pacific time, Microsoft took the wraps off of Office for iOS. Put most simply: If you are an Office 365 user, and have an iPhone, Microsoft has brought the same Office functionality that Windows Phone users enjoy to your Apple smartphone. Not an Office 365 user, and live on your iOS phone? No Office for you, even if you bought Office 2013 in its standalone format. Why is Microsoft bringing Office to iPhone so late, and in a limited fashion? [T]here have been competitive advantages for Microsoft keeping Office off the iPhone. It provided an advantage to Windows Phone devices, and the first lives of Windows 8 on tablet devices. Enterprise firms that are dependent on the suite had to choose a platform that supported it, and those that did were core to Microsoft’s launch of both Windows Phone 8 and Windows 8. Another way to think of the Office for iPhone restrictions is that Microsoft is now pushing all the harder to move people to Office 365, period. Office in a Box must fade, it would see in Microsoft’s view, to make way for the new service-based version of the productivity suite. The apps, while limited in their functionality, are generally well designed and fit their on-the-go use case. Yesterday, TNW’s Jon Russell reported that “Microsoft shares details of software flaws with US agencies in advance to aid their cyber-espionage activities.” This isn’t a surprise; Microsoft reports similar information to the public at large every month through its Patch Tuesday program. The information provided to Uncle Same “before Microsoft publicly announces software vulnerability and issues.” This is to help protect government assets against terrorist incursion. I’m not sure how happy Microsoft’s normal paying customers will be to know that they are second in line. Microsoft will build 600 stores-inside-of-stores in Best Buy and Future Shop locations in the United States and Canada. The stores will average a large 1,900 square feet, and feature two specially trained Best Buy employees that can walk consumers through the larger Microsoft set of hardware and software. TNW spoke to Microsoft’s Chief Marketing Officer who described the current market as an ecosystem competition, with “Windows v. iOS v. Android.” That is one reason the company is investing so heavily into the Best Buy channel: To give its platform a chance to speak across screens, and devices. Microsoft also released this week what could be the best advertisement it has ever created, the first to my knowledge that fully explains why the Windows ecosystem may be worth your time. Finally, for the first time, Windows Phone 8 devices outstrip the market share of Windows Phone 7.X devices. This means that in less than a year, Windows Phone 8 has overtaken years of Microsoft’s earlier mobile efforts. It was known that Windows Phone 8 sales were higher than before, but I didn’t expect it to so quickly supercede the global market share of Windows Phone 7, 7.1, 7.5 and 7.8 devices. This underlines Microsoft’s fresh momentum in the smartphone market, and belies how weak Windows Phone 7.X sales were in the past. It’s National Bourbon Day, get to work.